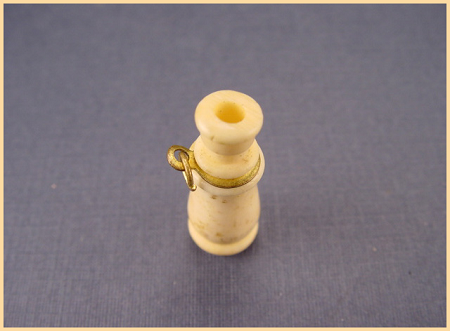 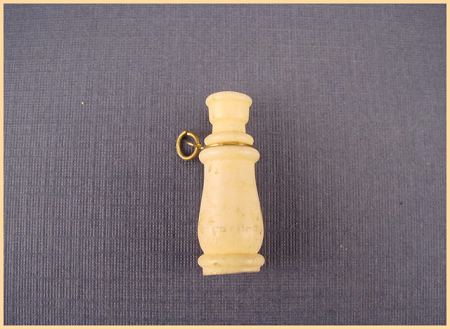 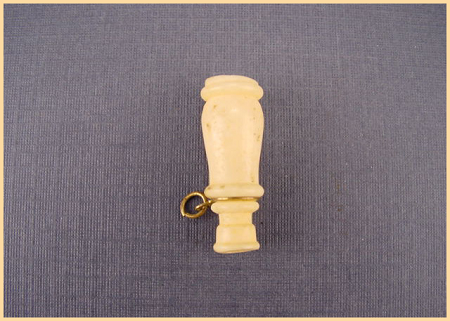 This turned bone miniature monocular stamped "France" with ring is about one inch long and slightly over one quarter inch diameter. 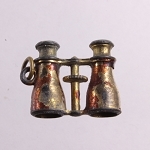 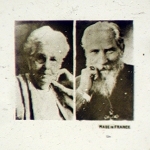 The condition is excellent and the stanhope lens is crystal clear. 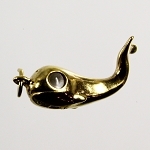 The Lord's Prayer shows the image of a Praying Angel surrounded by a box.